A man was reportedly shot in the face during a robbery at the Eagle Pointe Apartments Sunday night, September 18, 2016. 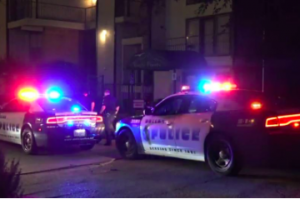 According to The Dallas Morning News, the shooting occurred “about 10 p.m. at the Eagle Pointe Apartments in the 3900 block of Gannon Lane.” An armed assailant apparently approached the victim outside the apartment complex pool and demanded money. The gunman reportedly opened fire before fleeing the scene. The victim was transported to Methodist Dallas Medical Center with injuries, per Dallas Morning News reports. His current condition has not been released. Was the apartment complex aware of any prior criminal activity on or near the property? If so, were additional security precautions implemented by the property owner or management to protect residents?